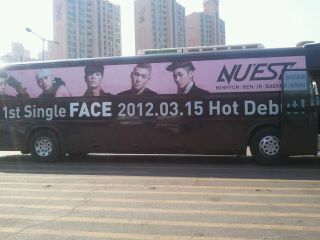 ‘NU’EST Bus’ spotted on the road! It seems Pledis Entertainment has taken to the road to promote their latest group, NU’EST! 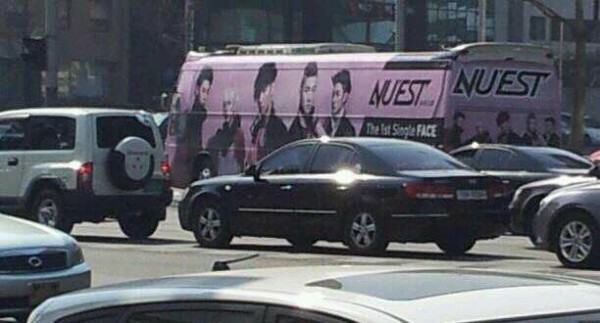 Just recently, a “NU’EST bus” has been spotted driving around the city advertising the group’s debut date and the title of their highly anticipated debut single! Although we have known that the group would be making their debuting on March 15th, there had been no insight into their debut single, until now! 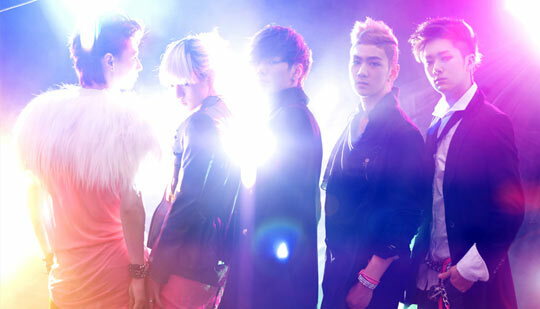 Stay tuned to allkpop for rookie group NU’EST’s debut on March 15th with their debut single, “Face”!